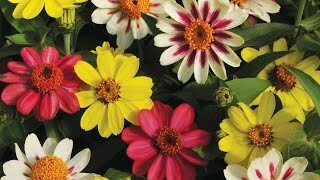 Vigorous and easy-going midsized dahlia produces intense color all summer long. Make a statement with this vigorous and easy-going dahlia that produces 4" flowers pulsing with intense color all summer long. Wonder as its tall stems bloom and rebloom effortlessly from June until September. Cut some for your bouquets, and you will still have enough for the neighborhood to enjoy. Dahlia, LaBella Maggiore Purple is rated 5.0 out of 5 by 2. Rated 5 out of 5 by Suz06 from Dahlia labella maggiore purple This was just beautiful , tons of color and flowers . Just loved this dahlia! Rated 5 out of 5 by Sanjonaflowergal from These are so beautiful I live in DC and was not sure if these will grow well. I went off for 10 days vacation and came to this!! So gorgeous!!! Not sure why the marigold and the night falls are not growing . Might take some time but the Dahlia’s just took my heart away.